Packaging that Sells: What’s your Line? Support the brand The most important element on any package is your brand. Volumes have been written on the topic of branding, but it is the package that represents the final opportunity for the brand to connect with the consumer. Whether or not advertising and marketing have laid strong brand groundwork, if you are introducing a new product to shelf, your brand has to have the strength to win the battle of choice, disrupt the consumer’s habitual buying patterns – and do so with an eye to the future. Set visual standards The objective in the visual expression of brand identity is to increase the relevance of your brand to consumers and to continuously build brand equity. While specific copy may vary from product to product, the way it is treated visually in terms of priority and proportionality should be consistent. It is critical that the graphic design team understands your visual brand standards, and if none exist, creates the guidelines that will govern the treatment of your brand in all presentations. Whatever the size or format of your package, wherever your brand image appears, it should be unfailingly consistent – and remember that once on shelf, you have 5-10 seconds to tell your story and sell your product. Understand your vehicle Once you have established your structural configurations, it is helpful to build a sizing grid that helps anticipate and identify problems that might develop. A line extension may require changes from a standardized shape and presentation to a unique application. From a design management standpoint and in planning for future variables, understand how design elements work together so you know in advance where conflict areas may need to be overcome or incorporated in a larger design scheme. A caution though – although it is important to arrange packaging visual systems, this is not always a formula driven activity, but rather an informed aesthetic decision ensuring the visual impression left with the consumer is consistent with the brand goals. Build a wall The ultimate consideration as your product line expands is to own the environment where your product will reside. 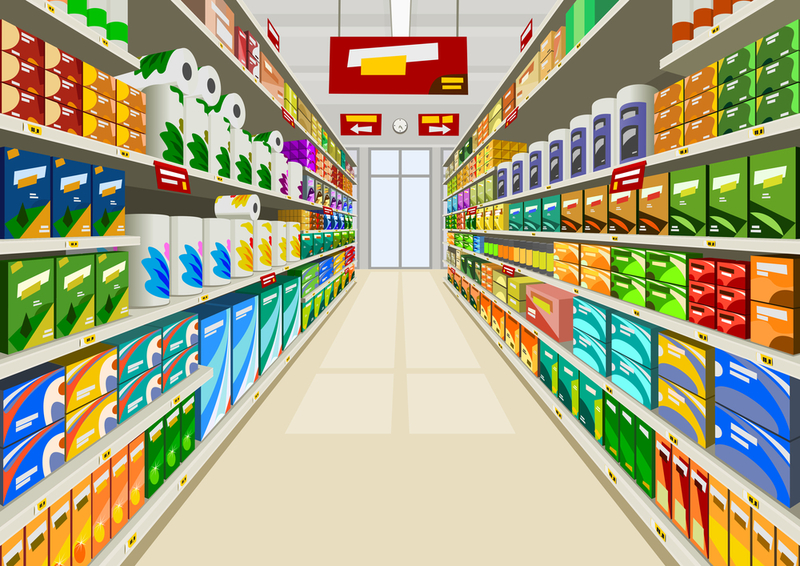 When you have one product on shelf, packaging should set you apart; however, with multiple products in your mix, you can use those product facings to your advantage and begin to build your brand/product wall. Consider how development and management of design elements will flow naturally from one package to another, resulting in a unified, connected whole – often referred to as billboarding. This creates a very powerful effect in drawing consumers to what is now a product line. If designed well, this should allow you to add or remove products from your mix and still provide the desired brand equity. 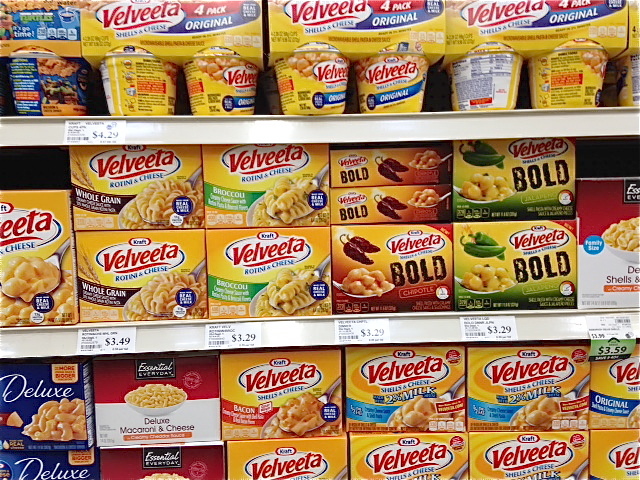 A great example of a well-developed line extension is the new flavor varieties for Kraft Velveeta Mac & Cheese. Regardless of the package size, orientation, construction or flavor variation, branding and color coding remain consistent. The consumer can rely on the steady, uniform arrangement of cues to select what they need and at the end of the day, Kraft owns this wall. Whether you are designing a trial package for an innovative new product, creating packaging for a brand refresh, or establishing packaging for additional products to enhance a product line, the end goal is always a package that sells product. Keep it simple, clean and direct, and own your packaging.